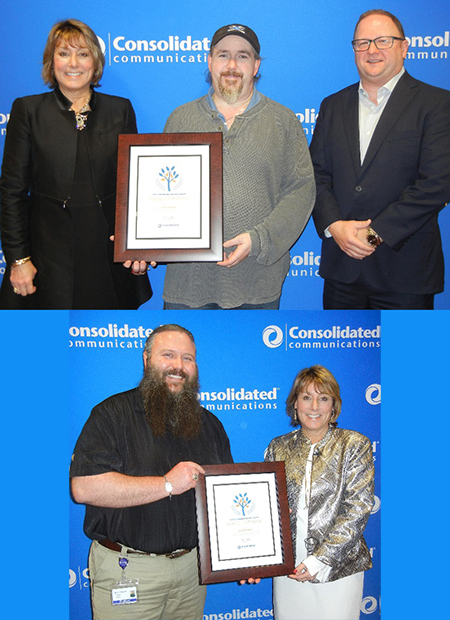 Consolidated Communications recently honored two employees in New Hampshire with the company’s Community Service Award for their work in making a difference in the community. The recognition ties closely with Consolidated Communications’ values and its commitment to build a stronger community. Sean Guilford, a data support specialist in Manchester, volunteers much of his time with the Salvation Army in Derry. The company will make a $500 contribution to the Salvation Army in support of Guilford’s volunteer work. Kendall Stapley, a network provisioner in Manchester, volunteers his time with the Cub Scouts in Alton. A $500 donation will be made to the scouting organization on behalf of Stapley. In all, five employees received the Community Service Award, presented at the Company’s Annual Employee Meetings. Exeter-based Vapotherm, Inc. recently announced that it has been added to the Russell 2000®, Russell 3000® and Russell Microcap® Indexes, effective after market close on December 21, 2018, as part of Russell’s quarterly addition of companies with recent initial public offerings. The Russell 2000 Index measures the performance of the small-cap segment of the U.S. equity market and is a subset of the Russell 3000 Index. Membership in the Russell 2000 Index includes automatic inclusion in the appropriate growth and style indexes, such as the Russell Microcap Index, which represents small-cap and micro-cap stocks. Russell Indexes are widely used by investment managers and institutional investors for index funds and as benchmarks for active investment strategies. Approximately $9 trillion in assets are benchmarked against Russell U.S. Indexes. Russell Indexes are part of FTSE Russell, a leading global index provider. For more information on the Russell Indexes and the quarterly IPO reconstitution, visit the FTE Russell website. Broadband and business communications provider Consolidated Communications announced it is partnering with SimpliSafe, the nation's fastest growing home security company, to bring award-winning security services to residential and small business customers across its service area. “Small businesses now have the ability to lock up at night after a hard days’ work without worry and consumers now can rest more easily knowing their homes are protected,” said Rob Koester, vice president of product management, consumer services at Consolidated Communications. SimpliSafe offers professional-grade monitored home security with no long-term contracts and at radically fair prices. Their easy-to-use system is designed to blanket homes with layers of protection using a wide array of sensors, including panic buttons, glass-break sensors and outdoor sirens. To learn more, customers can visit https://simplisafe.com/consolidated. The World Trade Research Institute will host a seminar on how to enter the global e-commerce market including how to complete international online sales and integrate that information into your sales fulfillment process. The seminar is $55 to attend and will take place from 11 a.m. to noon on Friday, Jan 4. To register, click here. The Flatley Innovation Center will host its Startup Pitch Night on Tuesday, Jan. 15 from 6 to 7:30 p.m. at the Nashua Tech Park Auditorium, located at 200 Innovative Way. The grand prize is $200 and free incubation space, with $100 and $50 prizes for second and third place. All participants will receive free rent for three months in the Innovation Center. For more information, click here. 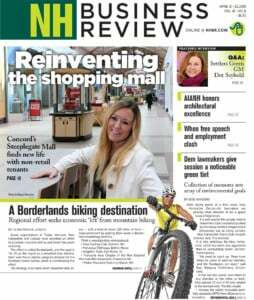 The University of New Hampshire is accepting registrations for its Start-Up Career Fair on March 25, from 6 to 8 p.m. in Durham. More info is available here. The Greater Nashua Chamber of Commerce is accepting nominations for its 16th Annual Eminence Awards. Nominations close on Wednesday, January 23. More information available here.